Multiple small cosmetic imperfections. Packaging will be damaged. 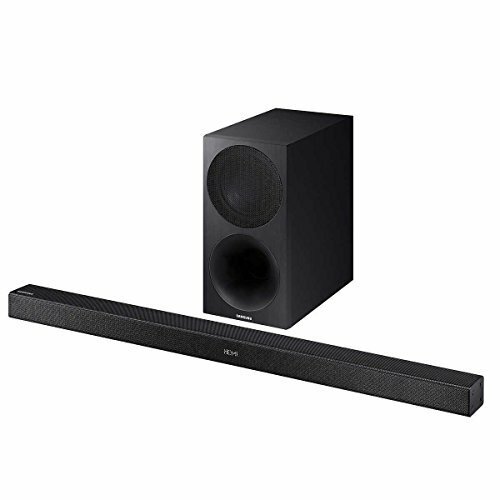 Connect your Soundbar to your Samsung TV easily with Bluetooth or Wi-Fi and remove the clutter caused by wires. You’ll be able to enjoy all your content instantly with clearer, more impactful sound. Enhance the look and sound of your TV with the sleep design of the Curved Soundbar. The distinctive curved design blends seamlessly with your curved TV. Products and prices are accurate as of post time: Wednesday, January 30th, 2019 6:42:05 AM Eastern Standard Time, prices and availability are subject to change.